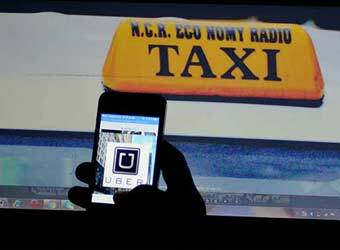 A group of sellers on Flipkart went on a virtual strike on Monday to protest the changes in the e-commerce company's return policy and commission fees while cab-hailing firm Uber has installed panic buttons and digital meters in the 100 cars on its platform in Bangalore, accepting the Karnataka government's diktat. Here's a quick round-up of the startup and technology stories of the day. 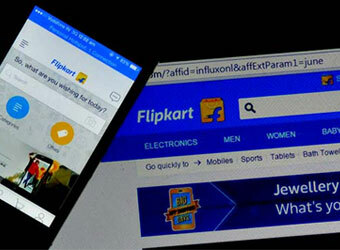 A group of sellers on Flipkart went on a virtual strike on Monday to protest the changes in the e-commerce company's return policy and commission fees, The Financial Express said. eSeller Suraksha, an online sellers forum that has 1,000 members, and All India Online Vendors Association (AIOVA), that has 800 members, had initiated the strike. The sellers displayed out-of-stock notification against their products on the site. It quoted Sanjay Thakur, president, eSeller Suraksha saying that while the vendors may not leave Flipkart entirely, they will go inactive on the site, which would affect transactions. However, not all sellers protested the hike in commission fees, as some said that the commission was in line with that of other marketplaces and that such changes are natural as the industry evolves. Meanwhile, Flipkart has discontinued its in-app chat service, Ping, as well as an image search feature, Mint reported. Started by former chief product officer Punit Soni, Ping allowed users to share products and interact with friends within the app. Launched in August 2015 on an invite-only basis, the aim of introducing this feature was to ensure users spent more time on the app. The e-commerce major had partnered with Visenze, a Singapore-based startup, to launch the image search feature. Ride sharing app Uber has got digital meter printers and panic buttons installed in 100 cars that use its service in Bangalore. The Economic Times reported that Uber bore the cost for the hardware. The cost for each printer is Rs 4,500 and can go up to Rs 9,000 when receipt printing and GPS is factored in. Mumbai-based events and brand partnership platform Onspon Services Pvt. Ltd has raised Rs 1 crore (around $148,000) from Indore's Swan Angel Network, Mint said. The firm will use the funds to scale operations, marketing and technology. The startup helps brands connect with event organisers, for which it has aggregated over 9,000 events, 12,500 event managers and 350 brands on its website. ProcMart, a procurement marketplace for office products, has raised an undisclosed amount in a pre-Series A funding round from IndiaMart, a B2B platform for small and medium businesses, Business Standard said. The firm will use the funds to build its technology and to expand its presence in Tier I cities. Presently, ProcMart operates in the Delhi-NCR area and in Maharashtra. Its client base includes LG, Religare, Harman International and Coca-Cola, to name a few.